Stumbling upon various Nepali android apps which focused on empowering education. My mind got strike on one app i.e. Nepali GK. 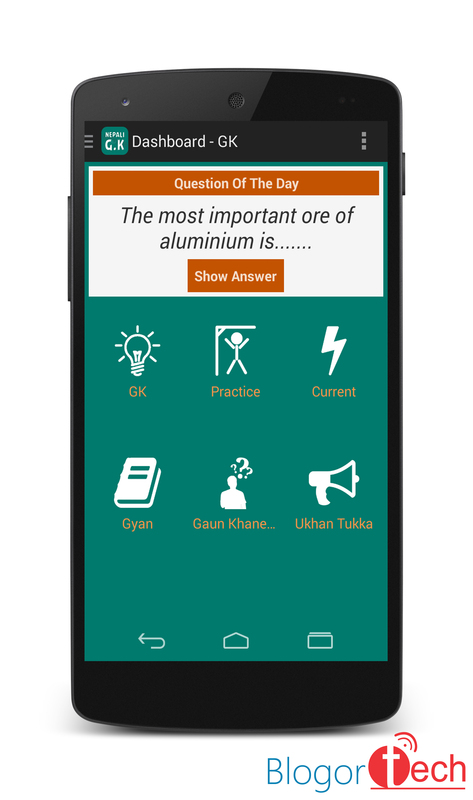 So, Today, I am going to review Nepali GK app, which has played a prominent role in preparing for various quiz contest and Public Service Commission exams preparation and other non-technical subjects. It also provides up-to-date information on different categories such as: Sports, Technology, World Geography, General Science, Basic General Knowledge, Abbreviation and others. It’s UI is moderate and has high potential of revamping the design. Whereas, in context of UX, when playing hangman game, it doesn’t show which option is right after tapping on wrong option. Hope you understand. Again, considering the UX, why don’t you provide a platform where user can submit a question with it’s required answer. Ultimately, they will contribute on adding resources to Nepali GK. If you have hungriness to get updated with current affairs, general knowledge and many others. Then, this app will be handy for you. Nepali GK team, will soon be pushing the new updates: Be ready for it GUYS! Do let me know, what others features you find in Nepali GK or give your feedback on improving this app. Trust me! Your feedback will reach out to the concerned developer. For that, comment section is just right below. CHEERS!